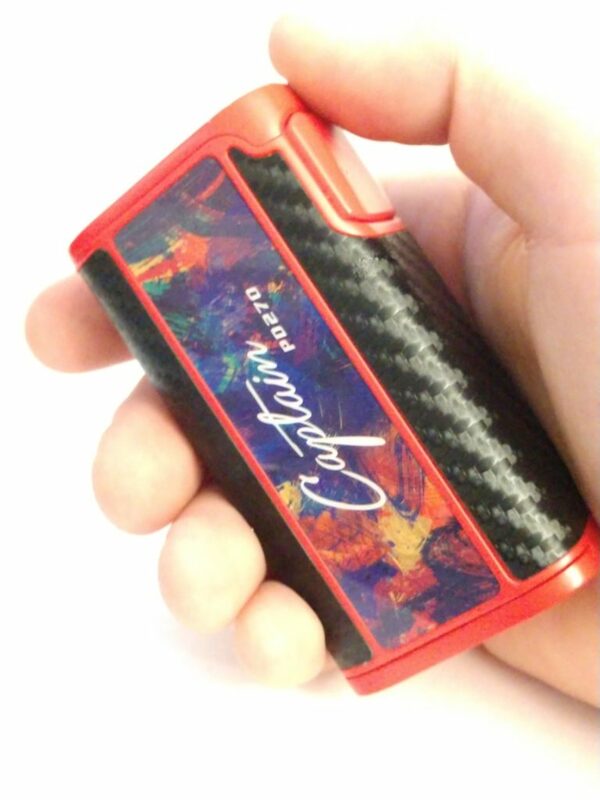 All right ladies and gentlemen, this time I’ll be reviewing the iJoy Captain PD270 – the device which iJoy created alongside their new 20700 batteries. I was pretty excited to hear about these batteries, given their 40A continuous discharge rating and 85A max pulse. I, for one, like to vape on tanks such as the TFV12 and, when the mood strikes me, RDAs, and both produce massive amounts of vapor and flavor. The only problem is tanks like this tend to use coils (or builds) that require 150+ watts, and this will simply not do well for battery life in a two-battery mod. Often, my batteries are drained by dinner time. This is where these new batteries come into play. Yes, they’re the same voltage range as a 18650, but the 20700 batteries can push the higher wattages more “safely” as the amperage is much greater. Therefore, this increases the battery life by a fairly significant amount. And you might think the 20700’s would be much larger, but in reality, the size difference is almost entirely in diameter – the length is only slightly greater than a traditional 18650 battery. Well enough about these batteries, let’s have a look at the device! First thing’s first: this device is GORGEOUS. The form factor that the Captain manages to achieve while accommodating these larger batteries is impressive, to say the least. The box almost seems… well, boxy, but once you grab ahold the brick feeling goes away as it fits nicely in the hand. Like you get with VooPoo Mods. You know, reassuring heft. Now let me be clear, it’s actually a pretty good size mod. It’s just that the proportion between the thickness and width of the box actually makes it very comfortable if you have average or bigger size hands. For those of you with smaller paws, this device might not be your best bet, but it’s still no SMOK xCube (the original was a BEEFCAKE) and could end up working out. Just check out your local brick and mortar store to see if it’ll work, then go home and save (most likely) $30-$40 when everything is said and done, including shipping. The device goes for only $70 online, and I’ve seen it for $100+ in stores. 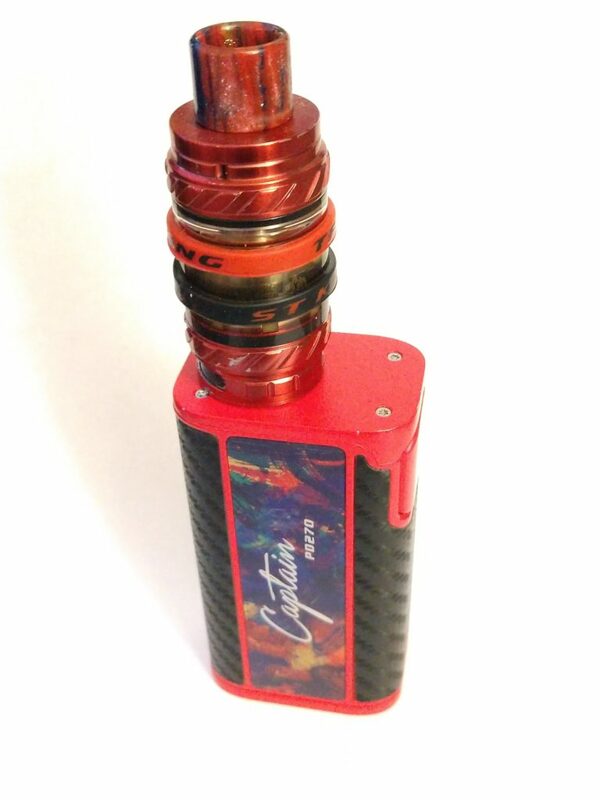 The thickness of the box is 32mm, so you can fit those massive 30mm atomizers no problem. It still looks great with a TFV12 as well, but I think this is more of a trick on the eyes because of the smaller diameter the tank has at the bottom. In addition to the nice form factor, the device comes in 6 different colors and there are 18 different stickers you can adhere to the sides of the mod. 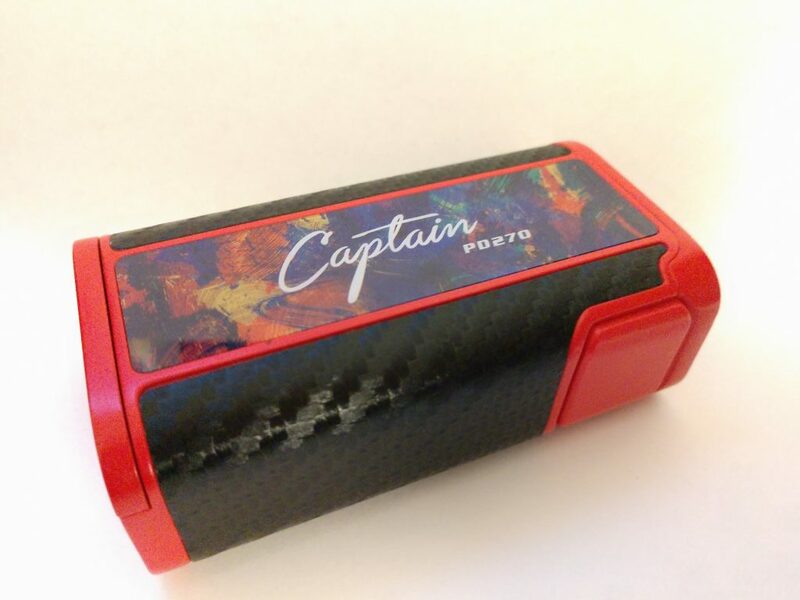 I rock the carbon fiber ones on my red Captain and it simply looks beautiful. But, does this beauty translate to within…? So, as I went through earlier, the whole reason for iJoy creating this box was to popularise their new 20700 batteries. This was interesting in itself, as currently I am unaware of another major hardware manufacturer (think SMOK and how MASSIVE the company is, yet they don’t have their own batteries) which has decided to make the batteries that power their devices. There are a few benefits from using the batteries that a company would themselves create and specify for a device; the foremost being that the company has tested this device with the batteries the customer will use. This is HUGE as it helps to eliminate the variability between displayed wattage and actual wattage being pushed to the coil. If you haven’t heard of DJLSB Vapes on YouTube, check him out for more information on this. When he reviews a device, he tests this difference and displays it on a graph for easy interpretation. Oh, and I think this is the reason why the box goes up to a quite particular 234 watts- why else would they make it such a unique number? The other major benefit is that it reduces variability in the product. If the customers are almost exclusively using the iJoy 20700’s they will all have basically the same experience. This is not the case for 18650 devices, as there are numerous big name battery manufacturers for the vaping industry- this means that one person could be running LG HE2 batteries while another could be running Samsung 25R’s but both have the same device. While they may have a SIMILAR experience overall, the performance will be different. This even holds true for different types of batteries within a manufacturer. 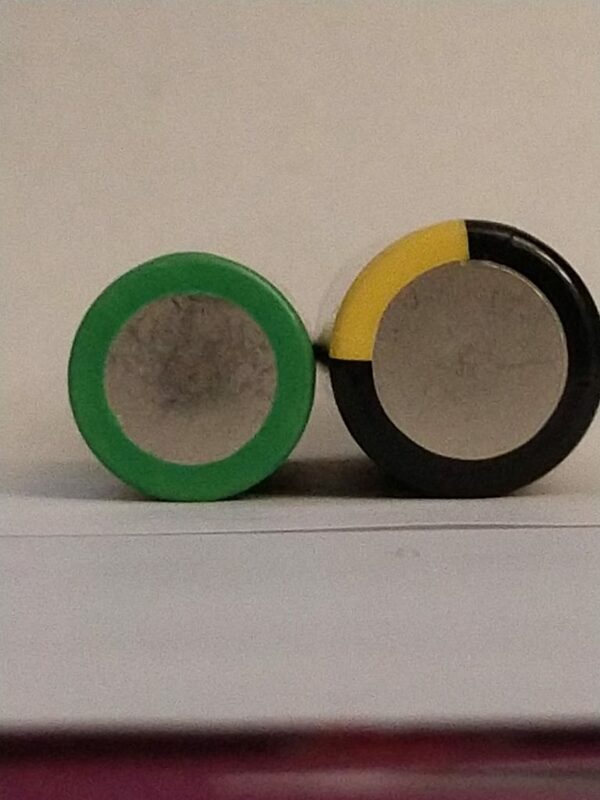 iJoy hopes to remedy this by introducing their own 20700 batteries. 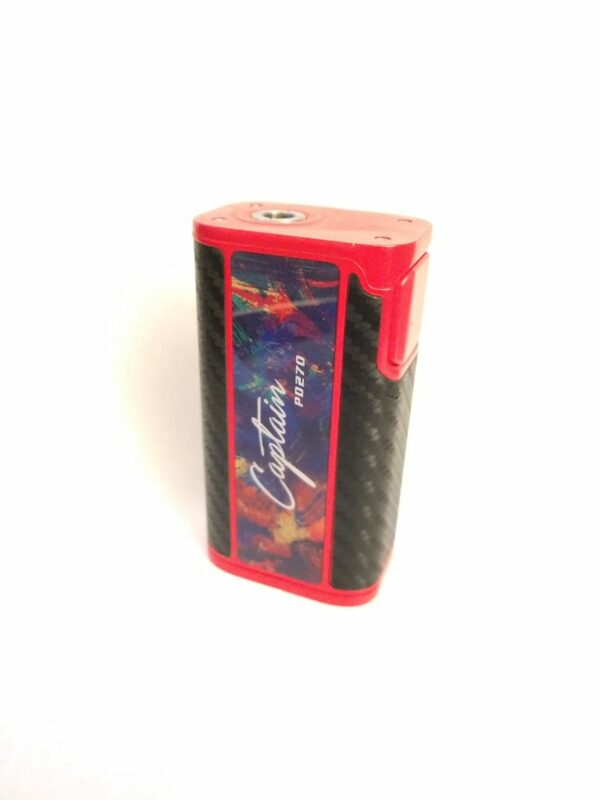 iJoy CAPTAIN PD270 – What’s In The Box? As far as I’ve been able to tell, iJoy did their homework and produced some nice batteries and a great device to go along with them. I can run the mod at full steam all day, and then just charge overnight and be good to go in the morning. As I said up top, often I end up needing to change batteries many hours before heading to bed, so this is a big improvement for a two- battery mod in my book. 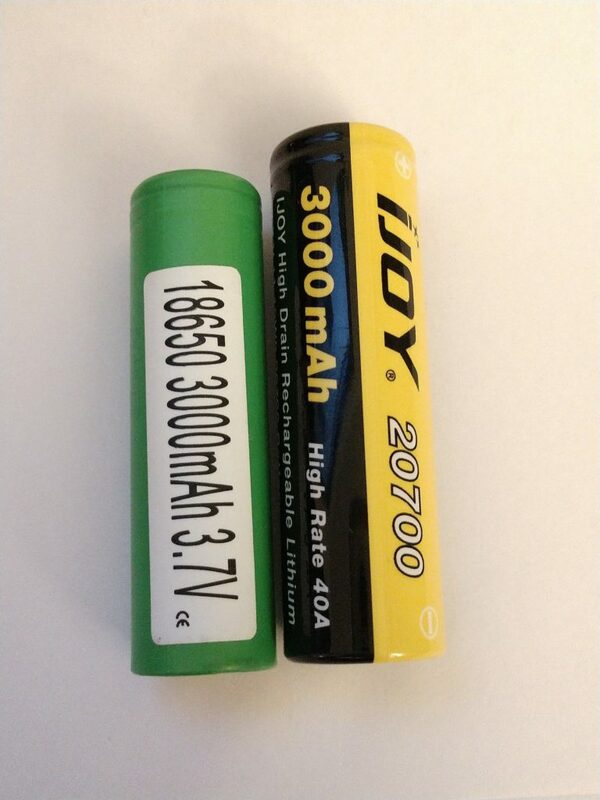 With the introduction of the 20700 batteries from iJoy, the next generation of powerful devices will soon arrive. 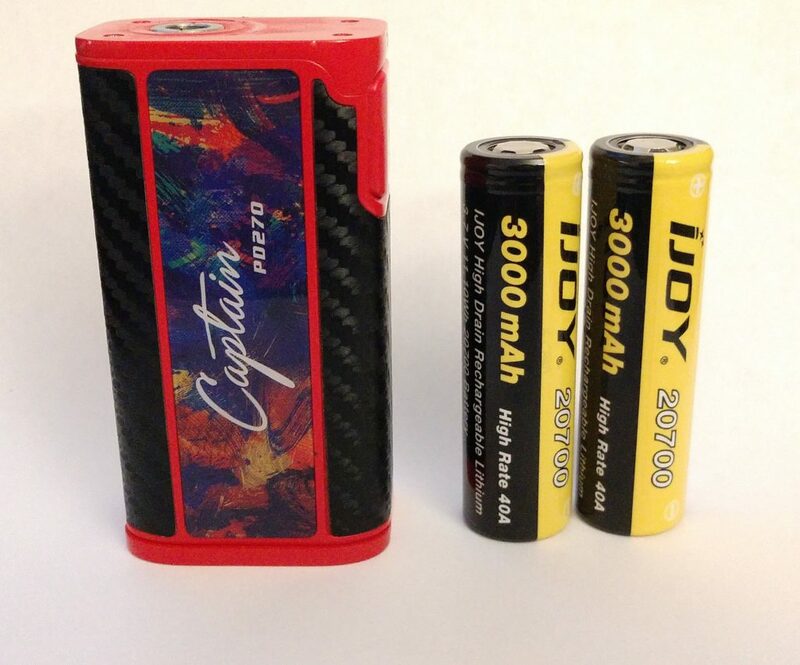 The Captain PD270 is iJoy’s first release utilizing these revolutionary new batteries, and it does NOT disappoint. The form factor, the power capability, and the battery life at that maximum power are all fantastic! Honestly, had I been unable to review this device, I would have gone and bought it anyway. The price point is awesome for what you get – $70 for the mod including the batteries which go for about $30 a pair even on eBay!